What is wrong with us women? why do we only worry about body parts when they become a problem? we service our cars but neglect ourselves! 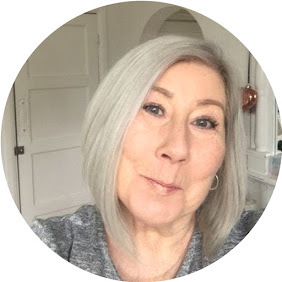 I don't ever recall thinking about my neck or decolletage until the day I looked in the mirror and thought, Christ I look like my Mum! I think we have all had that moment, not in a derogatory way but in the way you notice your Mum's cheek is not as firm when you kissed her. It comes to us all, and sooner than we flippin think. I have discovered Dr. Ceuticals Neck & Chest Lift, a lightweight cream that is designed for this much neglected area. Funnily enough the box says "Don't be guilty of neck neglect" I first discovered Dr.Ceuticals when I wrote about the Hand SOS Balm which you can read here, this is such a well priced brand of quality skincare I do think it needs some serious looking into. 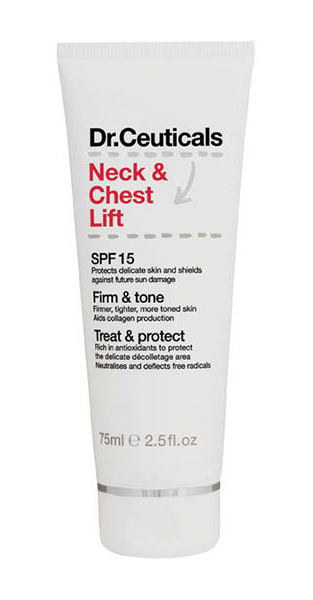 Containing SP15 this aids in the protection of sun damage while at the same time lifting and firming the neck and chest area, although you will see an immediate improvement in the moisture content of the neck and chest area, you won't really appreciate the benefits of this lightweight cream for around 12 weeks of constant daily use, it should become as regular as your daily moisturiser for the best effects. it does have a gorgeous soothing feeling and you can literally feel your skin drinking in the moisture and almost thanking you. The sun protection alongside anti-oxidants will help protect this delicate area from future damage, which means you can sleep safe in the knowledge that you are doing your best for this much neglected area. Post contains brand/agency samples unless stated. may contain affiliate links.